for submitting product information about Dunlop Pro Racketball Ball - 3 Ball Box We aim to answer all questions within 2-3 days. 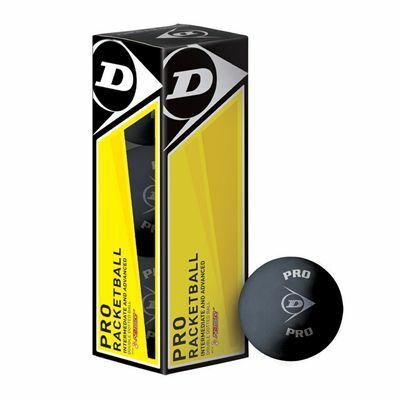 for submitting product information about Dunlop Pro Racketball Ball - 3 Ball Box. We aim to answer all questions within 2-3 days. If you provided your name and email address, we will email you as soon as the answer is published. Good price for three good quality balls. They are a good speed for a 2 spot ball, so a very good all rounder. Excellent service, and extremely quick delivery. Many Thanks. for submitting product review about Dunlop Pro Racketball Ball - 3 Ball Box.